UPDATED: Tue., Feb. 27, 2018, 10:19 p.m.
Senate Bill 6002 received final approval in the House on a mostly party-line 52-46 vote. Among Spokane-area representative, Democrats Timm Ormsby and Marcus Riccellin voted yes; Republicans Mary Dye, Jeff Holy, Joel Kretz, Jacquelin Maycumber, Bob McCaslin, Joe Schmick, Matt Shea and Mike Volz voted no. 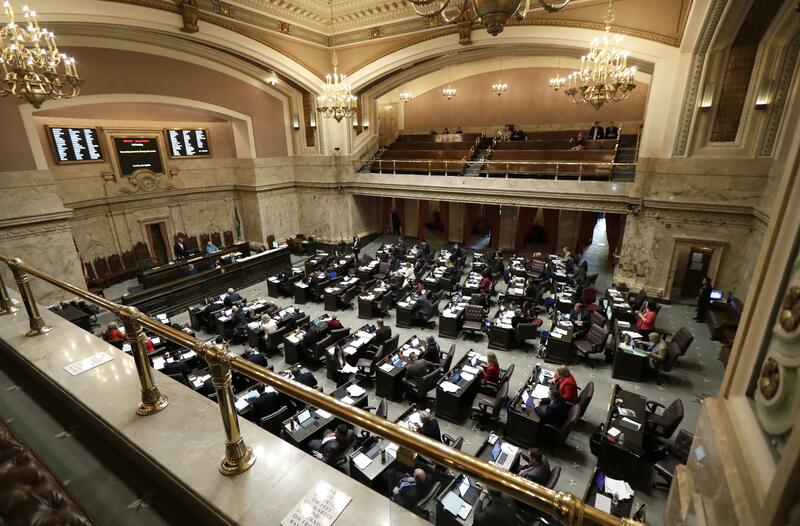 OLYMPIA – After a heated debate, the House gave final approval Tuesday to the state Voting Rights Act, which supporters said will make it easier for communities to improve minority representation in their local government. Critics contended, however, it would mainly generate lawsuits. “We want voter access. We want participation,” Rep. Marcus Riccelli, D-Spokane, said. The city of Spokane went to district elections for its council in the late 1990s, providing “more robust representation” for previously under-served parts of the city like Hillyard, he said. The bill sets an additional way for communities to establish districts for elected offices that are currently selected at-large. That would give minority groups a better chance of representation on city councils as well as school, fire, port and cemetery districts, supporters said. Critics said that includes districts or cities with as few as 1,000 residents, which may be difficult to divide. The bill is the wrong way to increase public involvement in education, Rep. Bob McCaslin, R-Spokane Valley, said. The right way is to do a better job teaching students about the state and national constitutions. “That’s the basis of getting people involved and getting the to run for office,” McCaslin said. Rep. Matt Manweller, R-Ellensburg, said it was an attempt to change future elections results because people aren’t happy with the results of the last one. “In democracy, sometimes the other guy wins,” Manweller said. He has regularly voted for candidates for president, governor and Congress who didn’t win. “I have been well familiar with that,” he said. Small school districts will wind up spending some of the new money on lawsuits rather than improve public education, he predicted. In a separate action, the House gave final approval to a bill that will allow state residents to register to vote and cast a ballot on Election Day starting in mid-2019, overcoming Republican objections that fraud could be possible if the state’s new voter registration software isn’t ready by then. If it’s not, Hudgins said, the Legislature could move back the deadline in the 2019 session. Published: Feb. 27, 2018, 8:59 p.m. Updated: Feb. 27, 2018, 10:19 p.m.